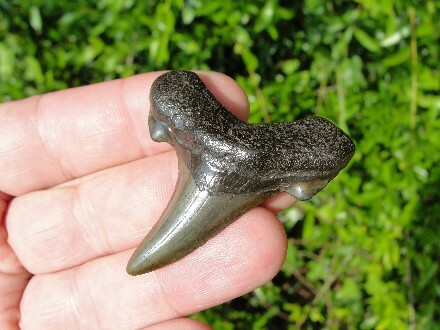 What a first-class naturally sand polished Auriculatus Shark Fossil Tooth. Magnificent black-green Enamel with rounded blade, slight serrations and intact side cusplets. Beautifully stunning and well defined root. 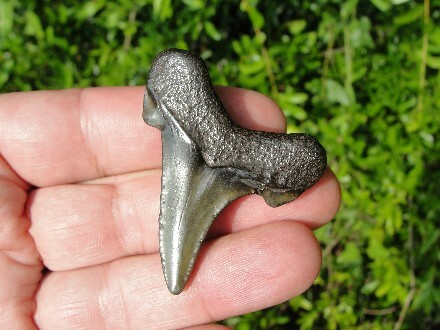 Terrific Auriculatus tooth and the oldest known member of the Carcharocles genus. 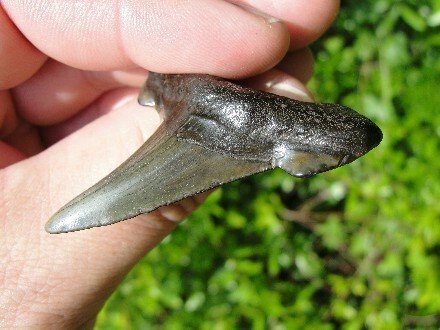 The Youngest member and more legendary of this genus, is Carcharocles Megalodon. 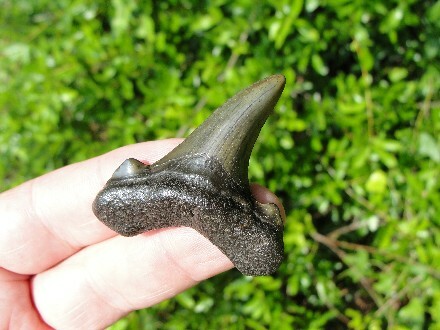 This Pre-Megalodon is considered the ancestor of the Megalodon. 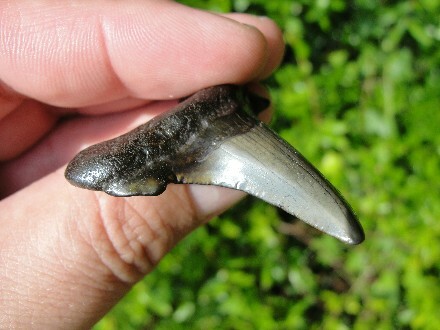 These Prehistoric Whale Hunters are a rare tooth to add to your collection. 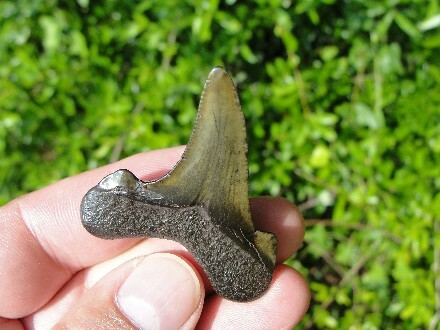 No repairs or restorations, and actual specimen pictured & guaranteed authentic.